So, When Can We Expect a US-Afghanistan Security Agreement? After a year of delay, the U.S.-Afghanistan Bilateral Security Agreement (BSA) will finally be signed. The conclusion of Afghanistan’s electoral crisis and the passage of a unity government deal to the satisfaction of once-quarreling candidates Ashraf Ghani and Abdullah Abdullah has lifted a great deal of uncertainty from Afghanistan’s political future. However, the very same question that loomed last fall still persists: when will the United States (and NATO for that matter) be able to plan for a post-2014 residual troop presence in Afghanistan? Two documents, a Bilateral Security Agreement (BSA) in the case of the United States and a Status of Forces Agreement (SOFA) in NATO’s case, will help answer these questions. Afghanistan’s new president, Ashraf Ghani, has signaled that he will waste no time in concluding these agreements with U.S. and NATO officials. The agreements will be on the top of Ghani’s agenda following his inauguration as Afghanistan’s 13th president on September 29. The timeline on the BSA is of particular concern to observers in the United States and indeed around the region. In testimony before the Senate Armed Services Committee, the top U.S. military commander in Afghanistan, General Joseph F. Dunford, Jr., claimed that August 2014 represented the last logistically feasible date for the conclusion of the agreement. Any later and the U.S. military will struggle to manage the logistics of pulling its hardware out of Afghanistan while preparing to leave behind a residual force. Given that Ghani won’t officially be president until late in the afternoon on the 29th of September, the Pentagon is likely to have a busy fall planning for the implementation of an agreement that it originally expected to have in hand in late 2013. Early signs suggest that Ghani could sign the SOFA and BSA within his first 24 hours in office. “Ghani … will be inaugurated next Monday, the 29th, and we anticipate that within about 24 hours of inauguration he will sign the BSA and we hope the SOFA as well,” notes one anonymous “senior NATO diplomat” who spoke to Reuters. 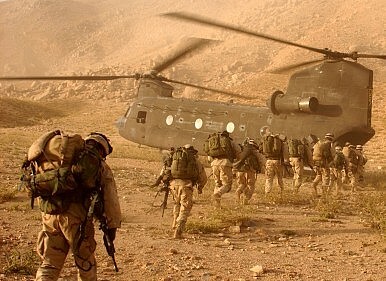 NATO currently has 41,000 troops in Afghanistan, and all but a quarter of that number are American. The numbers for the post-2014 residual troop presence fall in the range of about 12,000, including at least 8,000 American troops. A group of Afghan legislators in the Meshrano Jirga (the upper house in Afghanistan’s bicameral legislature) cautioned their country’s new president to take his time with these agreements. According to a report in Afghanistan’s Pajhwok, Afghan legislators are concerned that a speedy conclusion of the BSA could result in an outcome that is unfavorable to the Afghan people. “Equipment for Afghan forces, particularity the air force, end to infiltration of terrorists into Afghan territories and elimination [sic] their sanctuaries across the Afghan borders were linked [sic] the accord and were key demands of the people of Afghanistan,” noted one senator. Strictly speaking, Ghani will have executive authority to negotiate the terms of the agreements and shouldn’t necessarily be delayed by these apprehensions. As Tamim Asey noted in The Diplomat this week, while the Ghani-Abdullah unity government will have several matters to address, perhaps none is as crucial for Afghan security post-2014 than the conclusion of these agreements with the U.S. and NATO. In his outgoing address, soon-to-be-former Afghan President Hamid Karzai was less than charitable to the United States. He came short of referring to the United States’ presence in Afghanistan the source of nearly all of the country’s ills in the last decade. While Karzai’s remarks may have left a sour taste in U.S. officials’ mouths, Ghani will hopefully succeed in setting up security arrangements in the best interest of the Afghan people. An enduring U.S.-NATO presence within the country, charged with limited counter-terrorism operations and training, can only help Afghanistan as it embarks on a historic political transition. The proposed NATO agreement with the Afghan government hinges on the completion of the BSA with the United States.